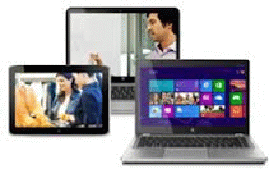 You are here: Home / Latest News / Windows 7 Vs. Windows 8 – Which One to Choose? Windows 7 Vs. Windows 8 – Which One to Choose? Interface: The major factor to be considered while choosing the best operating system is its interface. You can find the same interface features in windows 7 as its predecessor. The common feature is that start button it is found left corner of the screen. Another popular feature of the windows OS is the arrangement of the icons on the desktop. When you double click on the icon it launches the corresponding programs associated with it. Windows 8 comes with the metro interface. You cannot find these features in the previous operating system further they are replaced with some special features. Tiles enable the user with the timely updates and give the details of the new upgraded versions Live tiles available on the screen gives the flexibility to the user to customize them based on his preference and its functionalities. This interface is similar to the mobile devices that run on the windows OS. Read: Save A Website To Pdf Using Bowser Addons. Microsoft has made the significant changes in windows 8. It has a touch screen facility. But the tile interface will not respond properly with the touch feature when working with the desktop or laptop. Charms bar located at the right side of the screen can be accessed which give the details regarding the system features and its applications. Task Manager: one of the worthy differences between the two platforms is the task management and seven would be the last version of the Microsoft to use the classic version. The new task manager is much simpler and offers user friendly interface which concentrates on the current task and processes. Any of the unwanted tasks can be destroyed with a single click which instantly frees the system resources. ARM support: Previous windows version supports the x86-based Intel and AMD PC’s but the advanced operating system windows 8 supports ARM architecture. Windows store: windows 8 OS will support both the desktop and UI apps and can choose the apps based on category. You can update the tasks very easily. Speed: Microsoft stated that the latest OS will run much faster than the windows 7. BillKaragounis the manager of the windows 8 group gave a statement that the start-up time was 40% faster than its predecessor. And one of the major variations is that 7 occupy 389MB of the memory while the windows 8 use only 330MB with additional functionalities. Monitor support: Microsoft achieved success to design multiple monitor support device. You can open the start screen on one monitor, desktop view in another monitor. You can choose different backgrounds for each screen. Search and social: search is now available with the start and charm button. Through charm you can do the web search and can find the right apps that serve your purpose. Coming to the social network point of view windows 8 support Facebook, Linkedln and Twitter. Full version of the windows 8 is available for $70. If you have the windows 7 PC that is bought recently you can upgrade to windows 8 Pro by paying $15. If you don’t have sufficient money to buy the genuine version apply for cash loans UK that offers instant cash without any credit check. The guest post was contributed by Emily, financial guest blogger from Manchester, UK. Find out more about her finance related blogs at financeport. Microsoft has started the new era with windows 8. Great one. I just loved all the features of it, pretty cool touch, can run on tablet and desktop. New features like multi-tasking, picture password, apps tiles etc. Great info. Does it works great on desktop PC which is not touch screen? @Darryl Yes it works very well, even the touch screen is not available. Very nice post ! I am personally using Windows 8 but i miss the start menu from windows 7.